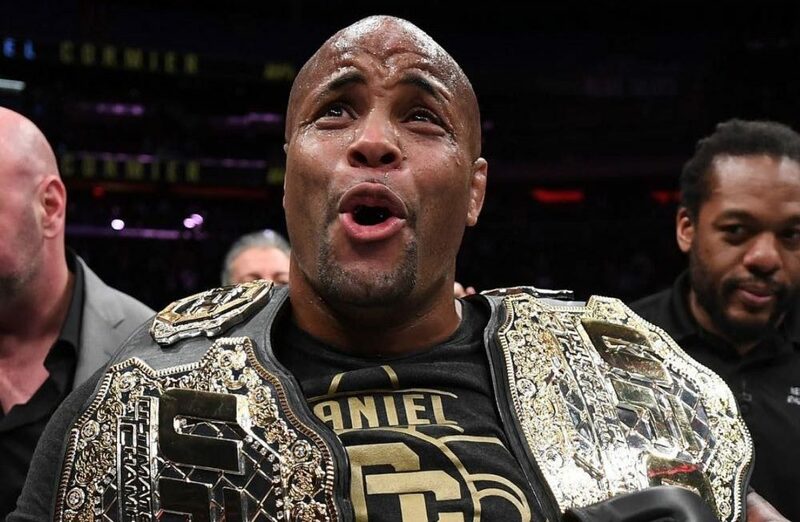 Daniel Cormier explains why he believes he still deserves to be ranked ahead of Jon Jones in the top pound-for-pound fighters in the sport. Daniel Cormier and Jon Jones will probably be rivals until the day they die so it’s no surprise that they would squabble over any kind of achievement. While Jones stands as the only fighter to ever hand Cormier a defeat, the former two-time Olympian has done something that even his greatest adversary has never accomplished. Cormier was a simultaneous two-division champion until last December when he surrendered the light heavyweight title while he’s still clutching the heavyweight strap that he won and defended last year. Meanwhile, Jones returned at UFC 232 and made short work of Alexander Gustafsson to reclaim the 205-pound title but then was admittedly rubbed wrong with the new pound-for-pound rankings were released and he was still behind Cormier. To hear him explain it, Cormier says what he’s done by winning titles in two different divisions gives him a leg up on Jones even if the longest reigning light heavyweight champion holds a win over him. “It feels great,” Cormier said about his top spot in the pound-for-pound rankings when speaking to UFC.com. “Even when they keep releasing the pound-for-pound rankings and I’m ranked above [Jon Jones] and he goes, ‘That’s BS,’ absolutely not. You are a great fighter, but you’re a great fighter at the weight class you’ve always stayed at. It’s hard to argue with Cormier’s logic considering he’s one of only three fighters in UFC history to hold titles in two different divisions simultaneously. Add to that, Cormier is the only current fighter to have a title defense on his resume while holding onto two championship belts — something the other two double-champs in Conor McGregor and Amanda Nunes cannot claim. Obviously, Cormier loves to get over on Jones no matter what the competition but he truly feels vindicated in this instance because he’s done something his greatest rival has never even attempted. “For what I’ve done, winning the heavyweight title, everything was so tied to [Jones] initially that me getting the heavyweight title was something so completely separate, especially being that I was undefeated in the weight class prior,” Cormier said. “Going up into a weight that was always thought to be my weight class, winning the UFC title, it helped me.